The car show, a parade of modified vehicles, is an integral part of the celebrations at Wasteland Weekend. 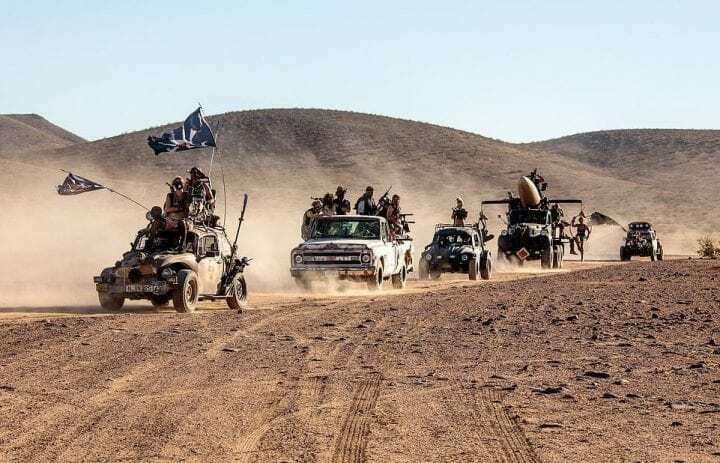 While this picture at first glance definitely looks like it was lifted from an ominous news headline about an insurgency somewhere in a desert country, these people couldn’t be farther from that. Spaces like Wasteland Weekend are an important phenomenon. They are a way to disconnect from modern society and act out your passion for Mad Max-style depravity in a way that doesn’t harm anyone. It’s a place that welcomes people of all ages, backgrounds, genders, and body types. Just make sure your costume is sick!